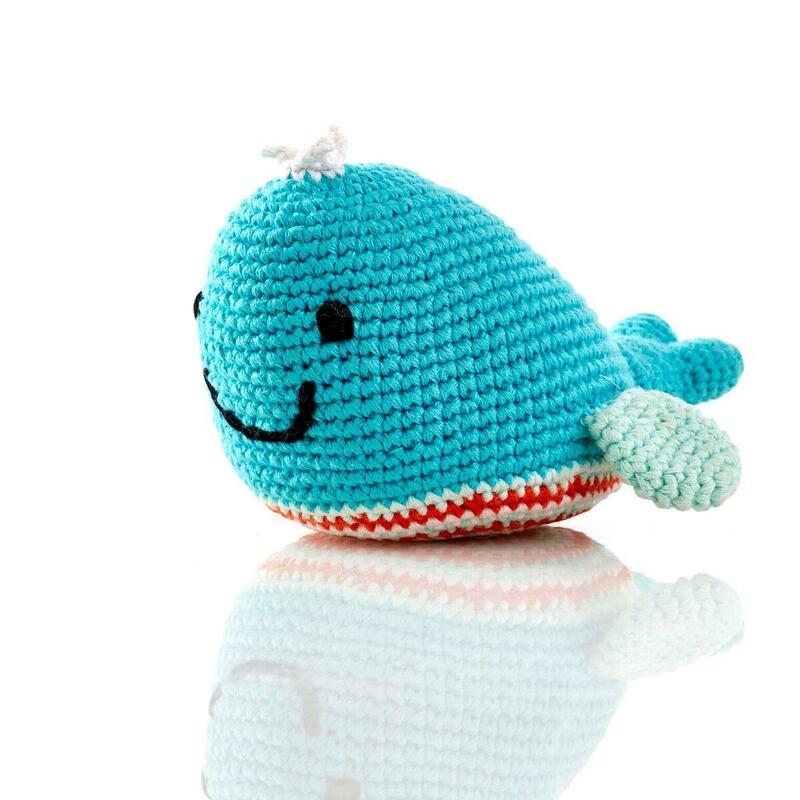 Cute little crochet blue whale baby rattle with a smiling face and contrasting blue and red crochet underside. This baby toy is part of our popular seaside range and would make an ideal gift for a young baby. Tactile cotton crochet makes this toy stimulating for baby to touch. Suitable from birth and machine washable. Fair trade.